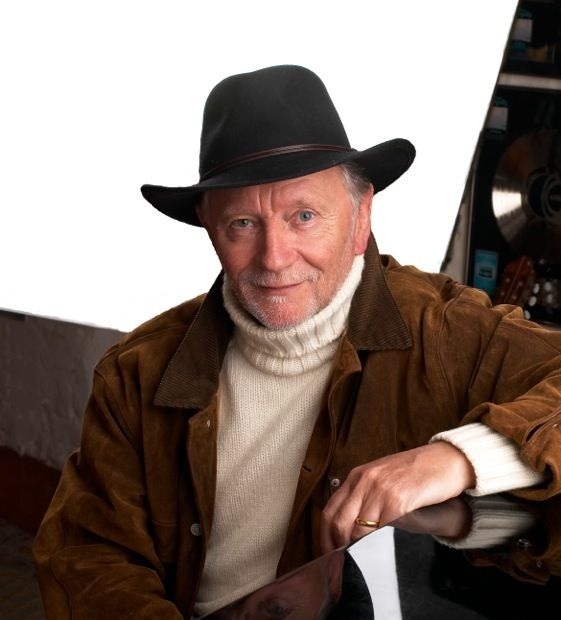 Phil Coulter is giving his New York fans a special treat for the holidays with a run of concerts he has called The Songs I Love So Well at the Irish Repertory Theater on West 22nd Street which begin on Thursday, November 29. Of course, the songs he has written are ones we love so well. "My Boy," "Home from the Sea," "The Man from God Knows Where," "Keep a Candle in the Window," and his signature "The Town I Loved So Well" will be woven into the show, along with holiday songs “as that time draws nearer,” according to the man himself. This legendary musician and producer is seeing a career resurgence, thanks to the runaway success of the Celtic Thunder and its series of shows. While his tenure as musical director has ended with the troupe, he takes it in stride and asserts that the show was just one stop in a career spanning four decades that includes work with everyone from Elvis Presley to Sinead O’Connor. Always one to be looking forward instead of in reverse, Coulter seems most excited about the upcoming shows at the venerable Irish Rep, celebrating its 25th anniversary this year. “This is a new experience for me,” he says of the Irish Rep residency. The most exciting thing about the shows, which stretch until December 30, has nothing to do with the music. “I taught my kids that they’re as entitled to their piece of the pie as anyone else and that has now bitten me on the rear end,” says Coulter with a laugh during our Skype chat. Coulter sees pros and cons with the “one man show” format. “When I first toured America I toured with a 20 piece orchestra,” he explains. “With an orchestra, it’s like changing course of the QE2 every time you want to add a number. You have to rehearse, change the scores, etc. Coulter looks forward to mixing up the set list with a variety of songs from his 45-year career. Will it be in a fan’s best interest to go to the show on multiple nights? “If they’re gluttons for punishment, so be it. I welcome repeat offenders,” he replies with a laugh. Coulter will be keeping busy into the New Year, with a plans for a PBS special with former Celtic Thunder singer and future son-in-law Paul Byrom. Leaving the success of that show was a brave thing for Byrom to do, Coulter asserts. “He is putting a lot of mileage in to find his own audience. Damian McGinty will be guesting as well,” says Coulter of one of Celtic Thunder’s breakout stars who had a starring role on several episodes of Glee. He transforms into a proud father figure when talk turns to McGinty, who rose to even bigger fame after he parted ways with Celtic Thunder to star in Glee. “I was in Chicago being honored at the IBAN festival,” Coulter explains. “Damian flew in from LA to join in on the celebration of ‘Uncle Phil’ that weekend. It’s great to see him remember the impact I had on his career. Coulter will take Byrom and McGinty on his annual Tranquility Cruise in January (check out details at www.travelconcepts.com), so make sure you visit with this busy man during his stay at the Irish Repertory Theatre before he waves bon voyage to dry land! Coulter’s Irish Rep show plays from November 29 through December 30 with the following schedule -- Tuesday at 8 p.m., Wednesday at 3 p.m. and 8 p.m., Thursday at 7 p.m., Friday at 8 p.m., Saturday at 3 p.m. and 8 p.m., and Sunday at 3 p.m. Visit www.irishrep.org for more information.